The battered and bruised Dodgers came back from a successful road trip at 31-31. In today came the young Braves who have a prolific offense. Walker Buehler took on former Dodger Brandon Mccarthy. In the bottom of the first, Matt Kemp got a single. Cody Bellinger then walked. Yasiel Puig then singled to score a run and the Dodgers led 1-0. 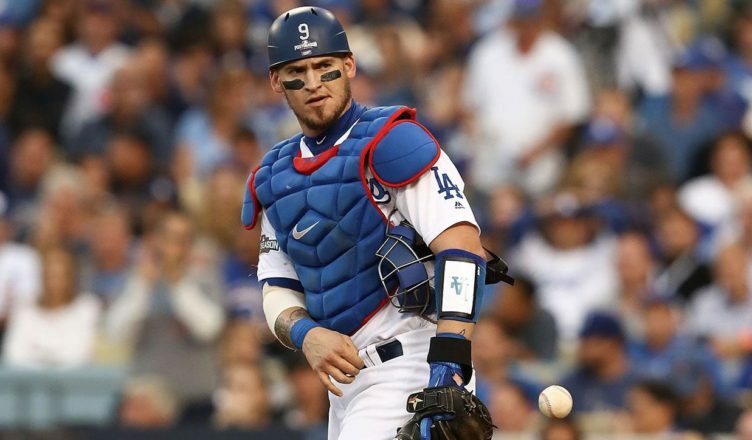 In the bottom of the 2nd inning, Yasmani Grandal hit a solo shot for a 2-0 Dodgers lead. It would the first of five home runs for the Dodgers tonight. The Dodgers have suddenly started going long ball. Today, the Dodgers recalled Pat Venditte and Adam Liberatore from Triple-A Oklahoma City. To make room on the active roster, Dennis Santana has been placed on the 10-day DL with a right rotator cuff strain (retroactive to 6/5) and Brock Stewart has been optioned to OKC. In the bottom of the fourth, Yasmani Grandal hit another solo shot and the Dodgers led 3-0. The Braves didn’t get their first hit until the 5th inning. Kurt Suzuki doubled in a run and the Braves got on the board. In the bottom of the 5th inning, Joc Pederson hit a solo shot to continue his hot hitting. Max Muncy then hit a solo shot and the score was 5-1. Yasiel Puig left the game for some reason. Then Walker Buehler left the game in the 6th inning in what is being described as rib soreness. Justin Turner continues to sit out with a sore wrist. In the top of the sixth, Pat Venditte came in to pitch. Freddie Freeman hit a double to score a run and the score 5-2. Max Muncy doubled in a run to score Adam Liberatore in the bottom of the 7th to make the score 6-2. In the top of the 8th, Johan Camargo hit a solo shot to make the score 6-3. In the bottom of the 8th, Cody Bellinger hit a solo shot to continue his hot hitting and made the score 7-3. Kenley Jansen came for the top of the 9th inning to close the game out. Alex Wood will be on the mound tomorrow. The Dodgers need a starter to go long to give the bullpen a break. The Dodgers need to make a a move for a pitcher with all the pitchers dropping like flies. How Long Can The Dodgers Go On Without a Pitching Staff? Daniel Corcino is in LA and might be added to the roster tomorrow. He is a starting pitcher. Puig back in lineup tomorrow after being removed for so called in house reasons. Sounds disciplinary to me. Dave no to happy with Puig getting picked off and laughing about it. Kershaw, and Maeda close to returning. Hill also might be back by the end of next week. Good they pulled him, as his velocity was dropping due to rib pain. I guess that’s better than shoulder or elbow pain (maybe). They have to call up another couple of AAA arms at this rate, or let Baez start (crazy as it may sound, I think it works – he can go 3 if he pitches every 3-4 days as long as we pitch before the 5th inning). I have no confidence that anyone FBZ picks up or trades for will be able to go more innings than we’ve we’ve got in the minors. Just me. Corcino started 6 games at OKC, other starters down there are Banuelos, Defratus, Moscoso, Pill, Stewart, and Ferguson. Those first 3 all have MLB time under their belts. I would not trust Baez to get my grandmother out, and she is dead..
He’d give grandma a pass. Pretty small strike zone on grandma. We’ve got enough arms to get through this. Runs are gonna be scored against our staff. But the bats seem to have awakened. Hopefully we will survive. But…… FAZ might have to pull something out of the market to finish this off. Unless of course Maeda, Hill and Kershaw come back 100%. Yeah, that could happen. And Urias could step on the mound after the All Star break and be as good as new. Yeah, ALL that could happen. But just in case it would be good to have a few back up plans on the table. Colon has gone at least 6 innings 6 times this year. Can he keep it up? Sure, why not. The man is in the best shape of his life. Actually, he’s looked a bit vulnerable of late. 17 earned in his last 4 starts. Forget Bartolomeo. Maybe I should look elsewhere. Who’s on wire that just got out of the whirlpool? Hamels makes $23 million. No can do man. Hopefully he stays off a NL contender. We have about 35 cents to spend on a 7 inning arm. Think inside that box. But like you said, Baez had such a good first half last year. That was last year. I doubt anybody trusts him much now. I do not trust Hudson either. I understood what YF was saying, because Baez has been a different pitcher, if he pitches in the early innings, of a game. And I was surprised that you refered to Baez like that, because until just recently, you were still mentioning how well Baez had pitched at the beginning of the season, last year. Only reference point you have is past performance. Last year through June he was one of Roberts more reliable pitchers. This year it seems like he cannot get through a game without giving up runs. Hudson has been a gas can since he has been here. I don’t like relievers starting games unless they are converted starters who can give you multiple innings. He was sent down for a reason, and only brought back because another pitcher bit the dust. This whole pitching situation is ridiculous. Hudson on the other hand used to be a starter, but he has not shown that he is any more reliable than Baez. I figure Muncy is a combination of the two. Tommy Garvey. And he will manage to get 2 home runs and 6 RBIs between now and 6-26, play some first base and eat a lot of pasta. See what I did there? Manage. First base. Pasta…..
Ok, I’m gonna eat a vegan bear claw from Ron’s Donuts in Vegas. It’s our last one. Been frozen for a few months. But, I digest……. Cody really looked good when he hit the ball out against that leftie relief pitcher, it looks like he is getting close. Your timing was pretty on with Cody. I thought the ball Muncy hit out against that other leftie, was impressive too. I know Muncy looks a little chunky, but I was looking at the sprint speeds of different players, and Muncy was only behind Cody, Taylor, Puig, and Barnes in sprint speed on this team. I was surprised to see that. I am happy that Kemp is back on this team, but I am still upset they spent so much money on those quote cheap pitchers, or we would have had some extra money to get relief help, or get a starter from another team, the way things are going. And remember they gave Anderson a QO and we had to pay him more then 10 million for another year, and Anderson never made it out of spring training healthy, which was not surprising. The FAZ track record on starting pitching is sketchy. Building with used parts can backfire on you. Muncy looks like this year’s Taylor. Hope he can keep it going. We are going to need the offense on this team. Hard to imagine FAZ buying starters at this point. They are not headed in that direction by the looks of it. Since we have no starters, we need relievers for the relievers. Perfect. Tons out there, and cheap!! Dodgers have come this far on numbers. No reason to think they’ll change anytime soon unless all the pitchers wind up injured. The other alternative is a team full of Ohtani’s. Not a lot of room to buy good parts Jeff. I think you are right, they will continue doing what it is they’ve done. More of the same. Maybe a lot more. 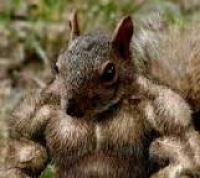 If the squirrels keep hitting, we should be ok. I think your right, but Ohtani is also out on the DL too. What makes that donut vegan, is it because they didn’t have to use an egg to make it? We are lacto vegetarians. No eggs. Don’t eat a lot of dairy, but do eat some. Mostly goat products. But it’s hard to get goat cheese on a pizza. It sounds like Buehler May have a rib that is out of place, a chiropractor could easily take care of that, if that is the case. Because he did get hit in the rib area when he was pitching last week, from a batted ball. The MRI he is having is to see if the rib is cracked and was not caught on the X-ray. He was in a lot of pain and having trouble breathing. I doubt they let a chiropractor work on their prize rookie. Shoot it up and put him back in there. He only needs to go 5. 28 teams in baseball, use chiropractic care, along with the team’s trainers, and other medical help, and I am sure the Dodgers are one of those 28 teams. I remember Kazmir was being treated from a chiropractor, for something to do with his rib cage. And if Buehler only has a rib out of place, chiropractors are the best medical source, to take care of something like that. His symptoms sound a lot like it feels, when your rib is out of place, if you haven’t had that happen. Never have. I used a chiropractor when I was having some back trouble, but a chiropractor is responsible for my sister’s husbands stroke. He went in and got adjusted, the guy did something wrong and later that night, Mike had a stroke. He has been unable to walk or talk for close to 20 years. Me, I would never let one near a player as valuable to the future of the franchise as Buehler. But that’s just me. A poor chiropractic session led to a stroke? Are not strokes caused by clots in the bloodflow to the brain? Yes they are, but when he was adjusted something went haywire. They sued him and won, he no longer practices. I am pretty sure what happened was that when he did his neck, he pinched an artery. Do Not know how, but that’s what happened. I am quite sorry to hear that. Also, sorry to make you (inadvertently or unthinkingly) had to expand on it. And I got critically injured from a truck driver, who critically injured 3 people and killed three people, that had no insurance. If I used your logic, I would blame all truck drivers. And one chiropractor, does not mean every chiropractor is bad. Doctors make mistakes too, and you still go to a doctor. Usually on something like that, they will access a percentage that someone is at fault. It is good that you are not making decisions about what is best for elite athletes, with that logic. There are two ways that cause a strokes. MJ, I am not trying to justify or condemn. 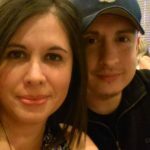 It is what happened to my sisters husband, And an accident with a truck is a hell of a lot different than a trained medical professional making a mistake that takes someone’s ability to walk and converse in a normal manner away. Sorry, what happened to you is not right, neither is what happened to Mike. In my opinion, when the possibility of that kind of injury exists, I am not going to use that form of care. But you always have to have something negative to say about most of what I post. I could care less, your knowledge of medicine is about on par with your knowledge of me….zip. You were not there, my sister is a registered nurse. So I trust her opinion and view of what happened a lot more than your jaded view of anything I say.